BLOCK PUZZLE!!! !, a new artisan relaxing game, is created JUST FOR YOU.The game is crafted to help you emotionally re-charge, reduce stress and increase positive social interactions. It’s the 10x10 jigsaw making your brain healthy for a happy life. Take a break at any time with this calming free puzzle. 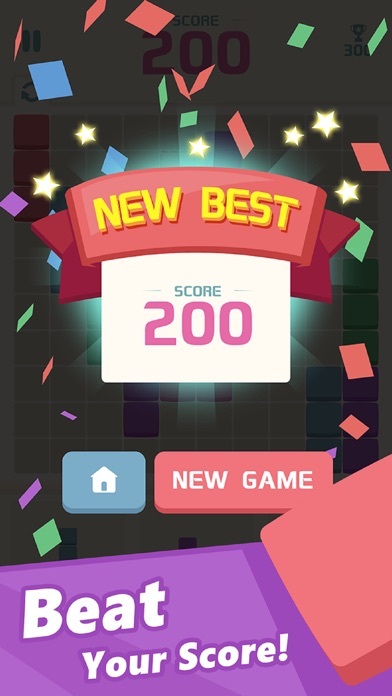 Features: • Forever free to play • Beautifully easy and simple, no pressure and no time limit • Surprisingly challenging to break your score record • Perfectly small install size that won’t hurt your storage BLOCK PUZZLE!!! 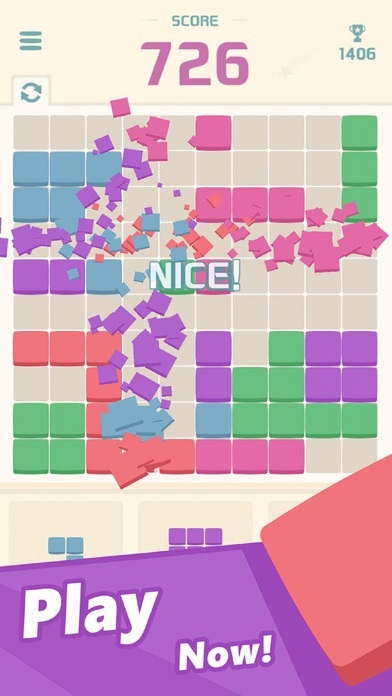 !’S reviews SOOTHING, NO PRESSURE 10x10 PUZZLE “If you like soothing, no pressure 10x10 puzzle with unlimited time, then you will definitely want to check out the game” CHILL & RELAXING BOARD GAME “It is suitable for those who enjoy chillaxing with a graphically-appealing board game. It’s the best jigsaw puzzle I’ve played. 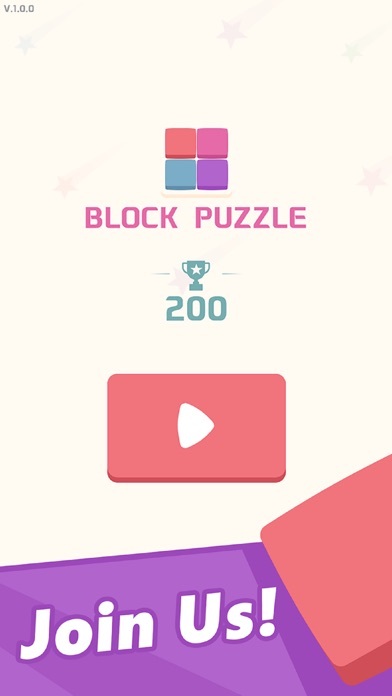 Love it” EXCELLENT BLOCK PUZZLE “It gives me an excellent Zen experience. I love this block puzzle! It is very relaxing. So awesome” SIMPLISTIC, CHALLENGING, INTRIGUING JIGSAW PUZZLE “I definitely recommend this jigsaw puzzle. Simplistic, challenging, and intriguing!” ADDICTING AND A LOT OF FUN 1010 BOARD GAME “It is great to have a 10x10 board game that you don't have to be a genius to play. Simple yet challenging. 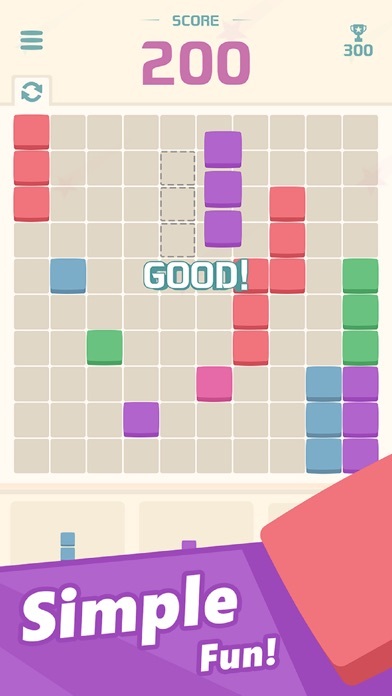 Addicting and a lot of fun board game” Play BLOCK PUZZLE for free for as long as you like. Then support team when you think it’s worth. 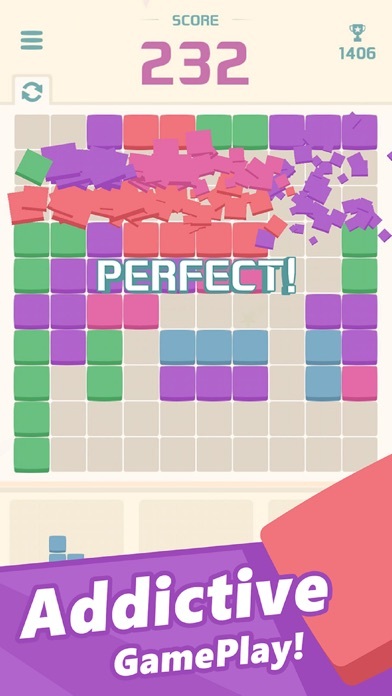 We hope you will love BLOCK PUZZLE!!! !